​Chelsea manager Maurizio Sarri has confirmed that he plans to rest five key first team players for Thursday night's Europa League dead rubber against Hungarian side Vidi and may hand valuable minutes to teenage pair Callum Hudson-Odoi and Ethan Ampadu. 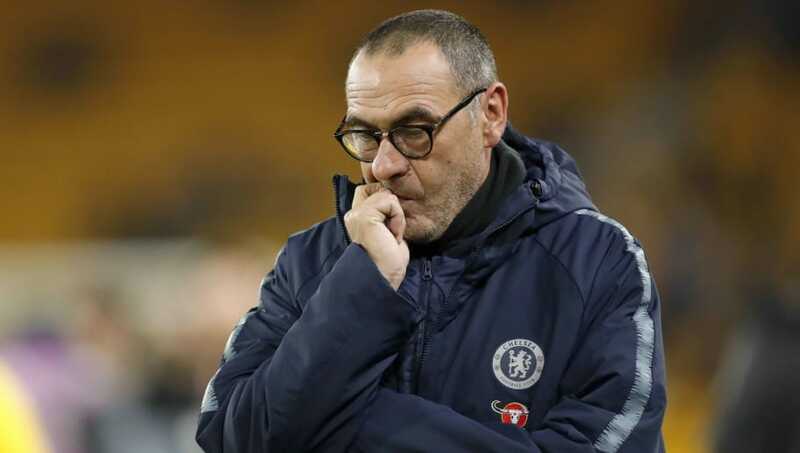 Chelsea had already played three times in December after only eight days of the month, and with more games coming thick and fast every three or four days, this is an important opportunity for Sarri to give some regular starters a night off. "I decided the players who played three matches in six days in the last week had to rest for this match: Kepa, Rudiger, Azpilicueta, Kante and Hazard," the Italian said, via ChelseaFC.com. "Then we have three injuries: Kovacic, Cahill and Moses. All the other players are here." He continued, "Maybe Hudson-Odoi will be on the pitch, Ampadu is in the 18, maybe he will be on the pitch because Cahill is injured." Both young players featured in the last Europa League game against PAOK. For Ampadu it was a first senior appearance of the season, while Hudson-Odoi marked the occasion by scoring his first ever senior goal and also providing an assist in the ​Blues' 4-0 win. Sarri is glad to be able to give chances, commenting, "I don't think in Manchester City or Manchester United or the other big teams there are 2000-born players with a lot of minutes. "To play in these teams is really very difficult, but I hope in the future there will be a chance for Callum and Ampadu. "They both have a very important future. They both have to improve every day in every way from a physical and tactical point of view. Technically they are very good."